Associate Professor Anitra Nelson is a researcher in the Centre for Urban Research, whose works focus on community-based sustainability, affordable and sustainable housing, environmental justice and the case for non-monetary economies. She has completed studies funded by the Australian Housing and Urban Research Institute (AHURI) — on mortgage default and marginal rental housing — and other government and NGO agencies, including evaluations and policy advice or briefs. She has completed studies funded by the Australian Housing and Urban Research Institute (AHURI) — on mortgage default and marginal rental housing — and other government and NGO agencies, including evaluations, policy advice and briefs. Anitra speaks regularly on her key interests and occasionally teaches, e.g. Housing Policy in Semester 1, 2018. She completed a book on smaller housing and eco-collaborative housing — Small is Necessary: Shared Living on a Shared Planet (2018, Pluto Press, London) — as a Carson Fellow at the Rachel Carson Centre of the Ludwig Maximilian University of Munich (2016–2017). 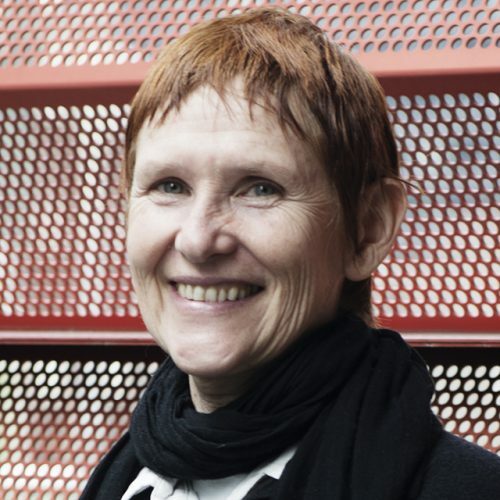 She was lead co-editor of Housing for Degrowth: Principles, Models, Challenges and Opportunities (2018, Routledge Environmental Humanities Series). These are the latest major publications of more than 100 academic, journalistic and literary works.Earlier books include co-editing Sustainability Citizenship in Cities: Theory and Practice (2016, Routledge, London) and Planning After Petroleum: Preparing Cities for the Age Beyond Oil (2016, Routledge, NYC). Late in 2011 Pluto Press (London) published a collection that she co-edited with Frans Timmerman, Life Without Money: Building Fair and Sustainable Economies, which was translated into Korean and published by BookSea (Paju) in 2014. She edited Steering Sustainability: Policy, Practice and Performance in an Urbanizing World (Ashgate, London, 2007) and her doctoral thesis Marx’s Concept of Money: The God of Commodities was published first in hardcover by Routledge (1999, London), later as an eBook and re-issued in paperback in 2014. Find out more about Anitra and her publications here. Affordable living, housing, marginal rental, boarding houses, residential parks, home mortgage defaults, sustainable living, sustainable communities, Marx's concept of money. With apologies to Jean-Paul Sartre, I am able to announce that I have formally registered my address in Munich with the German government therefore I am, I exist.